Jim and Jan Moran, alongside their Delta in 2004. 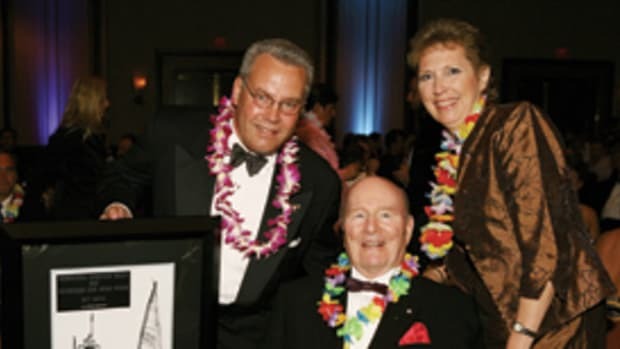 On April 24 the yachting community lost not only one of its most prolific—and proudest—owners but also one of the nicest people you could ever hope to meet. Jim Moran, whose love affair with boats spanned more than 60 years and encompassed more than 200 vessels christened Gallant Lady—including eight Feadships and one Delta—died at the age of 88. With that background, Moran could easily have been a stereotypical Thurston Howell, strutting around in ascots, strategically avoiding any semblance of work, and thinking money could literally and figuratively buy him everything. On the contrary, he proudly wore a T-shirt emblazoned with "Every Dog Has Their Day" during a birthday celebration several years ago, and he loved drinking chocolate milkshakes in his yachts’ dining rooms. By talking with him and/or anyone who ever worked with him, you recognized deep mutual respect and admiration. Note the use of "with him"—Moran, the automotive pioneer who introduced American buyers to Toyota, famously referred to his employees as "associates," whether they were vice presidents or part of the cleaning crew. As he told us in 2000, "I wouldn’t be here without all the great people I’ve worked with. I never judge people by the size of their wallets, but by their work ethics, loyalty, and ability." Having grown up in a working-class section of Chicago during the Depression, Moran knew all too well what the size of a wallet could be. Boating became an escape, and after pumping gas as a kid for less than 25 cents a day, borrowing $360 to buy a gas station in 1939, and selling used cars at that station four years later, Moran acquired his first boat, a 19-foot Chris-Craft, in the 1940’s. "She was a beauty," he fondly recalled for us. In the decades that followed, he bought more and larger models from Chris-Craft, Pacemaker, Burger, Scarab, Bertram, Hatteras, Donzi ("I bought Donzis by the truckload," he said), Sea Ray, Rybovich, and others. 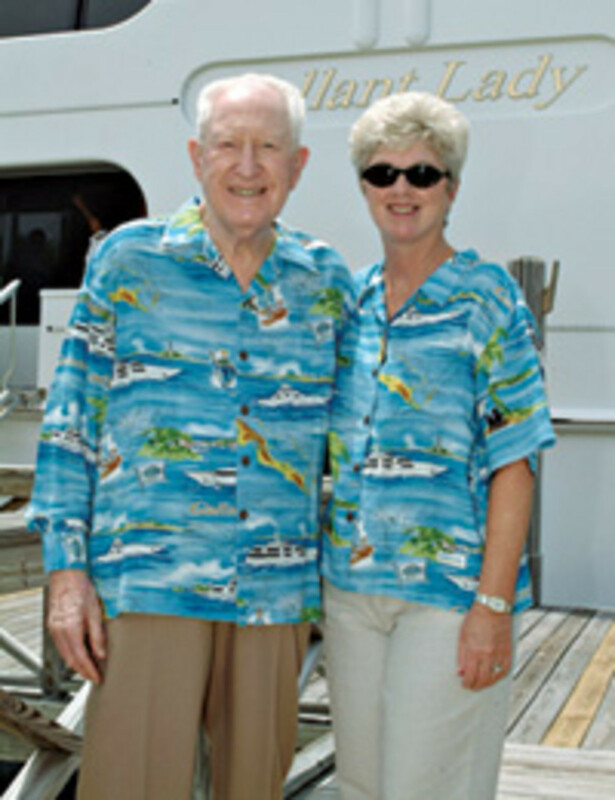 By 1979 Moran and his wife Jan were already well-experienced members of the boating community, even tapping Capt. Joe Moore, who ran their Rybovich, to helm a marine division of Moran’s business and oversee his fleet. But it was a tour of the 136-foot Feadship Carmac VI in the early 1980’s that ignited Moran’s boating passion like nothing before. The ability to custom-order a yacht—imprint his and Jan’s design ideas on everything from paper plans to the final product—truly excited him. 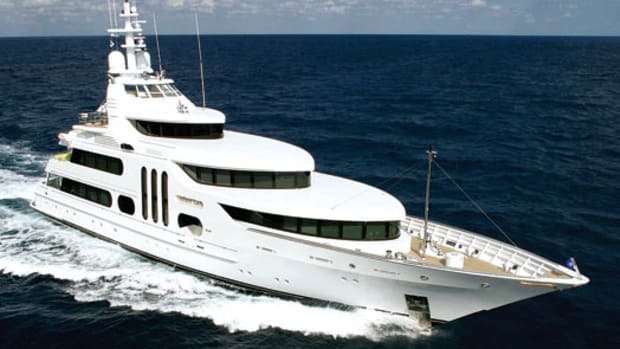 This spawned a relationship with Feadship that lasted more than two decades and included the construction of eight yachts, including 106-, 130-, 167-, and 172-footers. 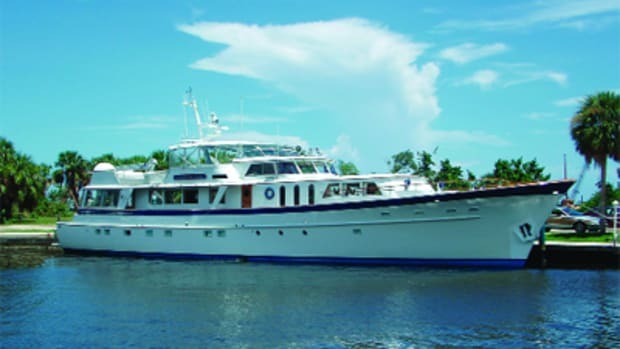 The couple also worked with Delta Marine on a 160-footer they took delivery of in 2000. 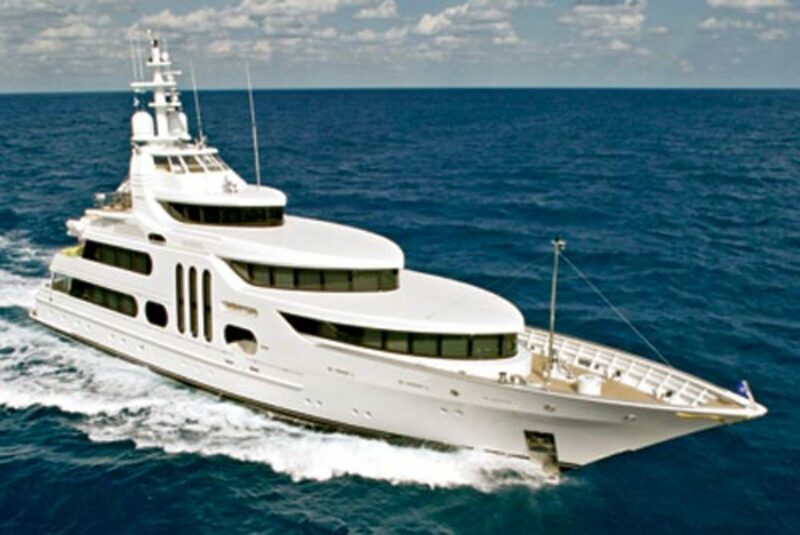 The new Gallant Lady, 168 feet LOA, looks like the 172-footer but is technologically more advanced. No matter which of these megayachts was on the water and where she was built, each Gallant Lady was a familiar sight in South Florida and the U.S. and British Virgin Islands. While the Morans took personal cruises, they derived more enjoyment from entertaining friends, family, and business associates and hosting charity events onboard—literally thousands of people per year. 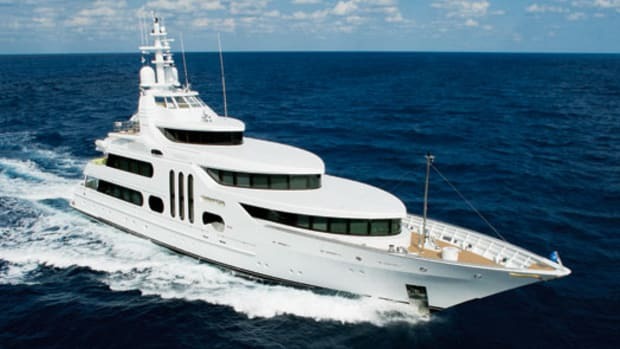 A week after his death, I saw Moran’s 172-foot Feadship anchored off the Bitter End Yacht Club in Virgin Gorda. It was bittersweet, for it reminded me of two things. The first was a letter he wrote us in 1998, in response to something I’d written in this magazine. 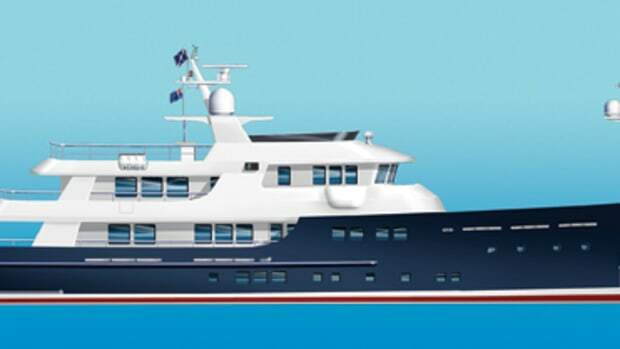 In discussing the impending delivery of his Delta, I’d wondered whether he’d sell the 172-footer, since he’d sold the other Feadships when subsequent Gallant Lady launches occurred. Moran wrote one of the nicest corrections—"This letter is not meant as a criticism," he stated. Thanking us for "the beautiful picture" we ran of the yacht, he went on to say, "You must have most of my friends reading your magazine. I had many phone calls regarding the comments about the 172-foot Lady probably being gone in two years. Just to stop my phone from ringing in the future, the new 160-foot Delta-produced Lady will replace the 130-foot boat which has been in service a little over six years now, and by year 2000, it will be approximately eight years old. Jan spent over three years planning the 172-foot boat and has made me promise I would not sell it—ever." But more than that, seeing the yacht reminded me of how Moran had, just a few weeks prior, taken delivery of his newest Gallant Lady, measuring 168 feet and with an interior by John Munford. 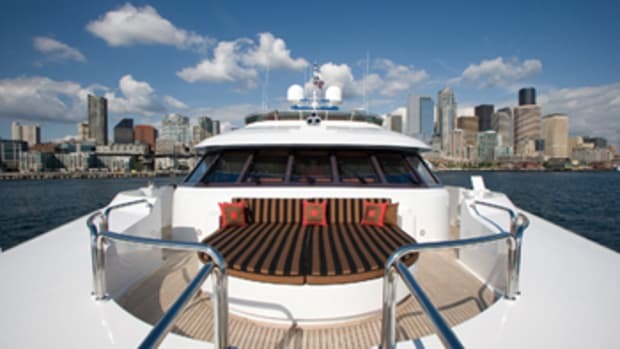 She was greatly anticipated by those of us in the media, since she marked the eighth time he’d worked with Feadship, and she caused excitement even at Feadship. As Henk De Vries of Feadship’s Royal De Vries yard wrote on our Megayachts forum in the thread titled "The new Gallant Lady,"as among the most intricate the yard had ever done, with much input from the Morans. "With thanks to our best clients ever," he enthused. Thanks indeed—for the yachts and especially for the memories, Jim.